5 Reasons are bringing the sunshine to the colder months of the year and getting ready to gear you up for some hot weather, sunshine and uplifting disco music. 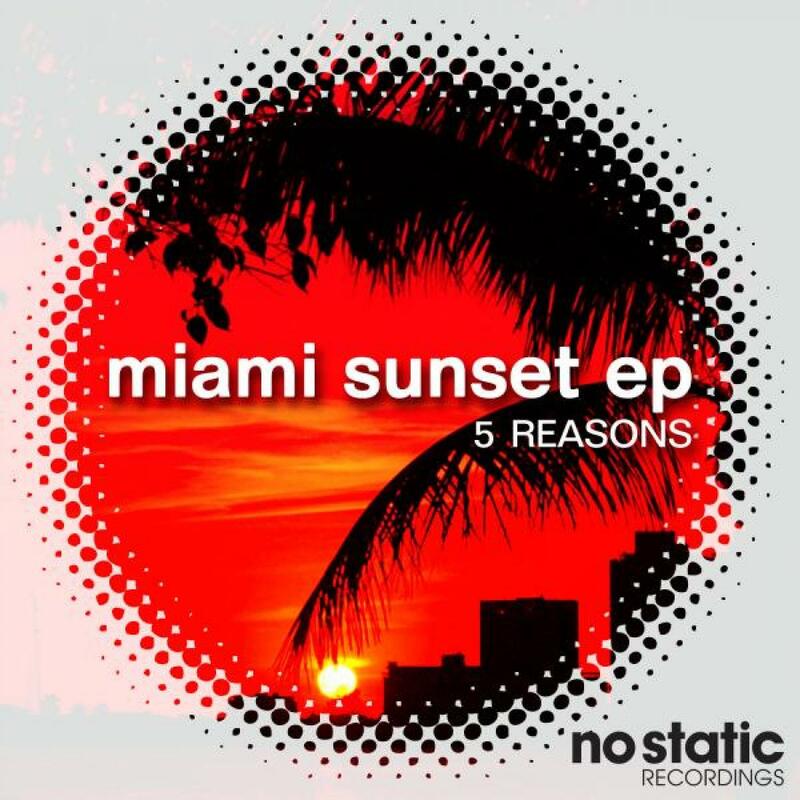 Miami Sunset is everything you would expect it to be from the prompting title, a perfect soundtrack for cruising around with the top down on a warm summers night. The track holds a perfect groove with that slightly funky edge giving you that smile that a great Nu Disco track should! The Evol Ai remix carries you from your sunny cruise straight in the club and a pumping dancefloor! An instant shift for the tempo and a transformation of bassline rhythm creates a melodic groover with a energetic blast of tech edged funk music. A seriously cool remix! To round off the single 5 Reasons have brought Music & Lights to the table, a downtempo disco roller that gives that unwinding sensation you need after a heavy night on the tiles, light filtrations and simple melodies let you gently groove into your after party and carry on till the sun comes up again.